Vienna is such a beautiful place on earth, it literally took our breath away right from the moment we landed in the city. The weather, the feel, the food, the capital city gave out such amazing vibes, Shagun and I decided to extend our stay by few more days. 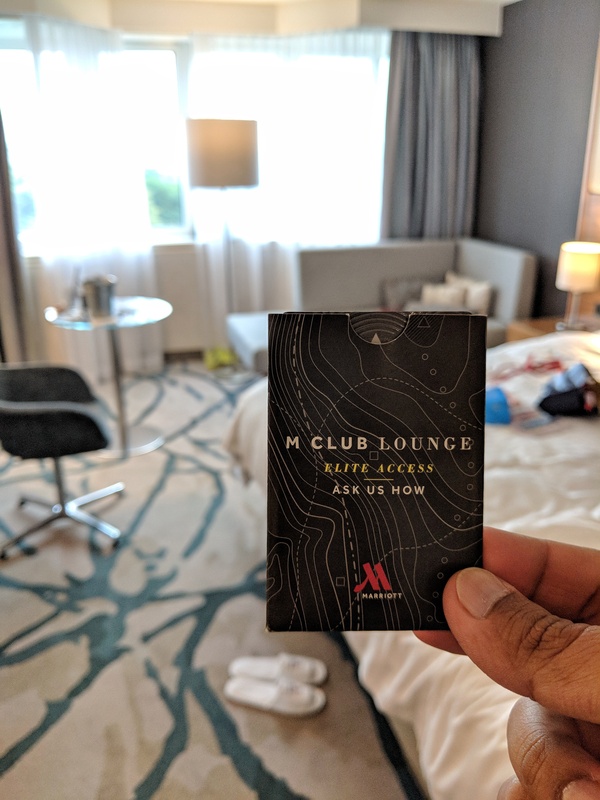 So while on our extended holiday, we let the Vienna Marriott Hotel spoil us and how! 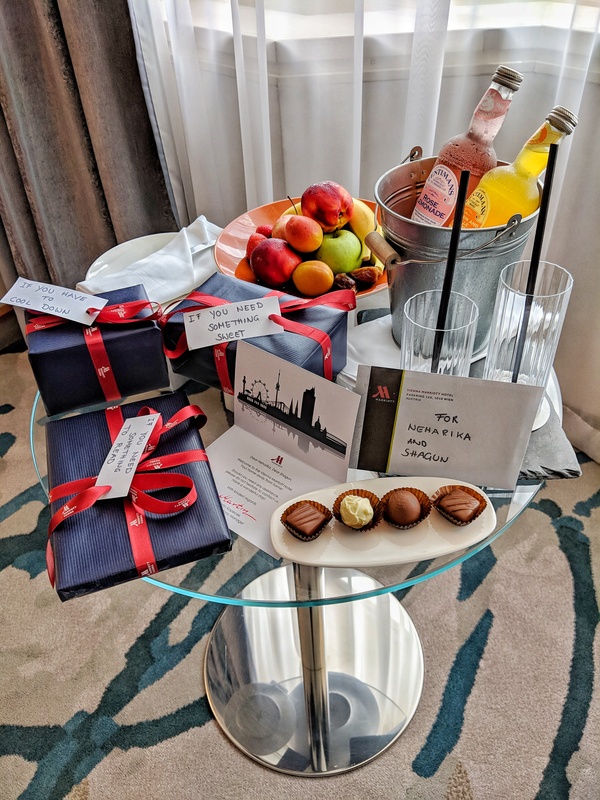 One of the most thoughtful and refreshing welcomes, Vienna Marriott Hotel made our staycation a memorable one. 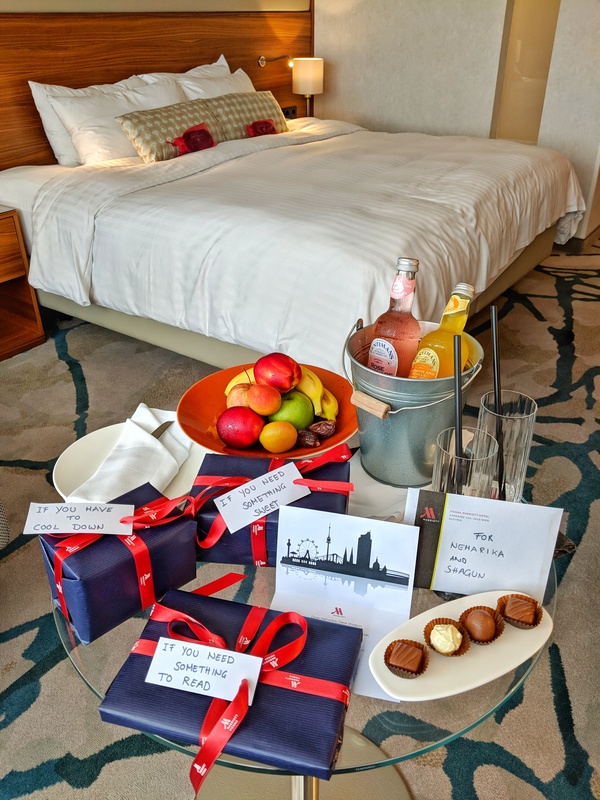 We checked-in to our room to find the table set up beautifully with presents, fruits and drinks. Depending on our mood there was something sweet (a huge box of local made yummilicious wafers), something to read (a big fat book on Vienna) and something cold (a snow ball souvenir). Kind little gestures like this always go a long way. 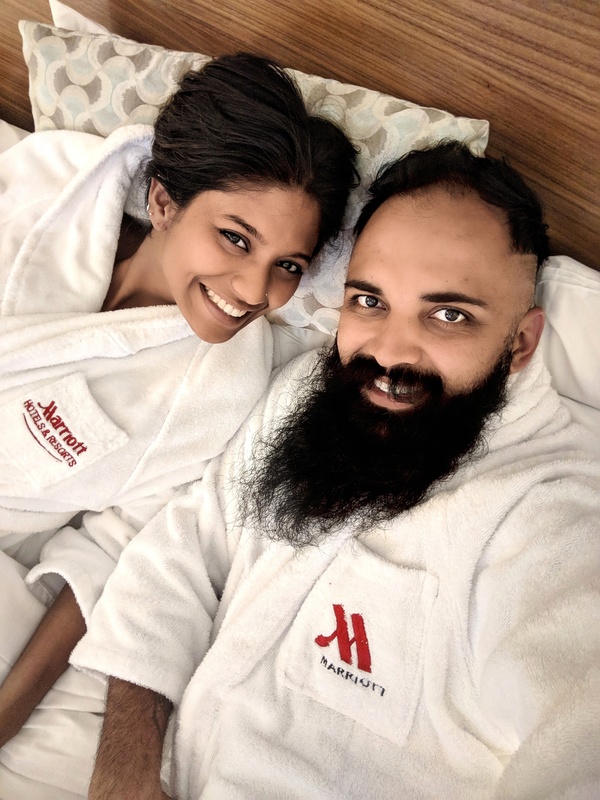 Back home in India, Marriott is one of our all-time favorite getaways on special occasions. They always make you feel at home and of course, royal. The Vienna Marriott Hotel was no different. The rooms are newly renovated. Our room had the most gorgeous view of the Stadtpark, ensuring we spent a large chunk of our holiday locked in our little love nest. Needless to mention, the bed was the star. The quality of sleep in our wonderful bed has been yet again the very best. (Marriott properties all over the world are known for their most comfortable beds). Spacious, peaceful and spotlessly clean, the room was done up with fresh and visually appealing colors of blues and greens, and bits of wood thrown in to give out luxurious vibes. The bathroom was nice and roomy and had heavenly smelling toiletries. We then headed to the Parkring Restaurant for the Legendary Brunch. I cannot stress enough on how large the buffet spread was. From delicious lamb chops to the famous Sachertorte, the spread had it all. There were different kinds of meat, crunchy veggies, seafood, healthy options, just about everything. 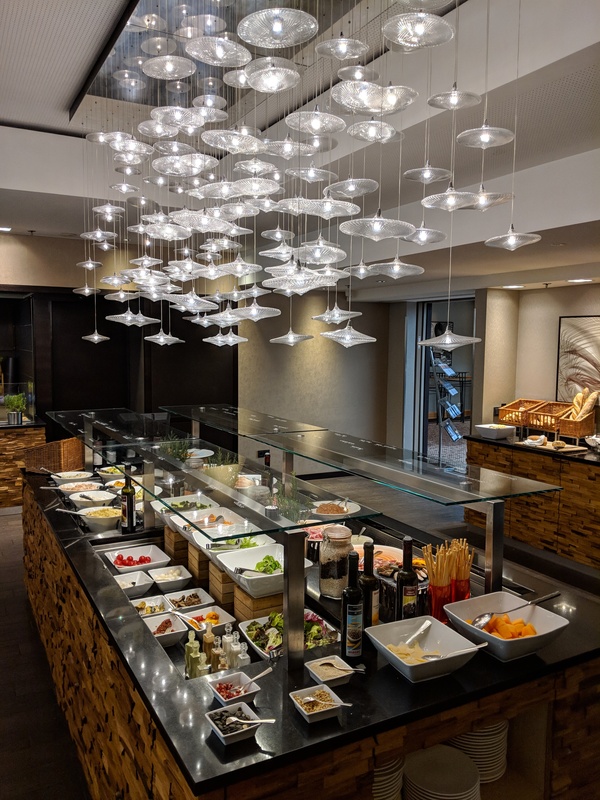 Even if you live in Vienna or you’re staying in another hotel, just drop by the Parkring Restaurant to experience their huge spread of all things delicious. We bet you will come back a second time. A detailed food review coming up soon. Make sure to hit the Health Club at Vienna Marriott Hotel every time you’re there. Oh, and the pool too. They have an indoor pool with warm water for the dips and dives. 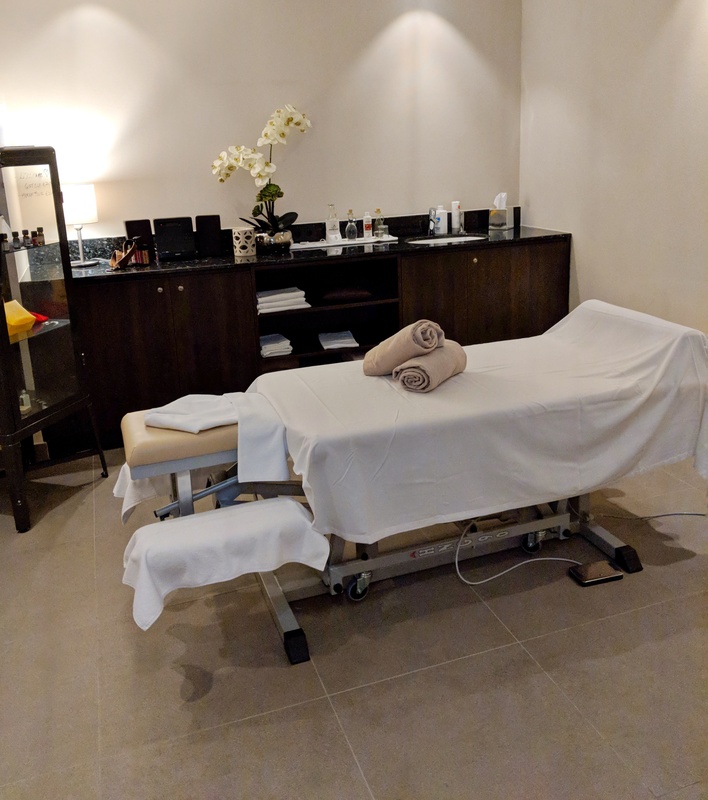 Besides, they have a variety of therapies and massages to offer, from relaxation to beauty treatments. There is a steam room and a sauna room, post which one can relax in the relaxation area. We easily spent an entire afternoon here. Our evenings would go by exploring the shops and streets around us. 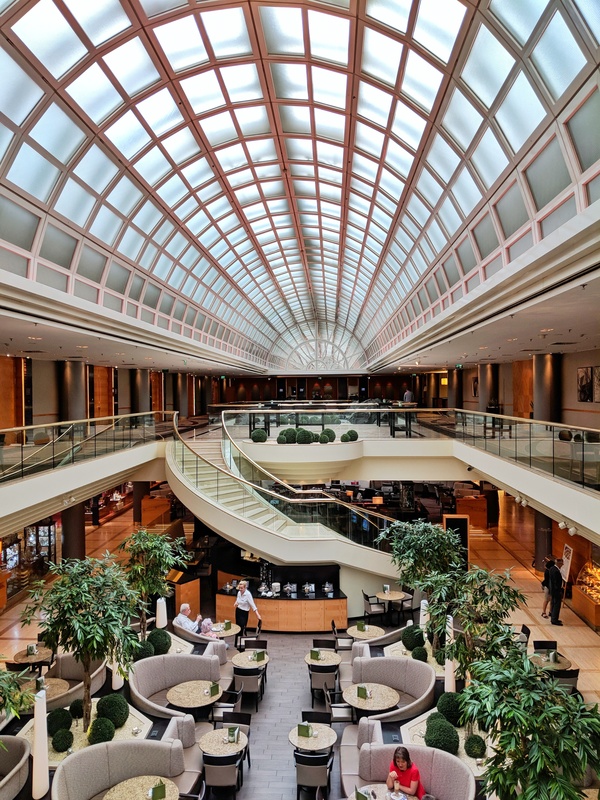 Located in the heart of the city, Vienna Marriott Hotel stands tall amidst all the major attractions, from St. Stephen’s Cathedral to the State Opera, on the iconic Ringstraße. It’s a 10 minute walk to the Stephansplatz shopping street, and also good public transport connection to the entire city too, what else could one ask for. 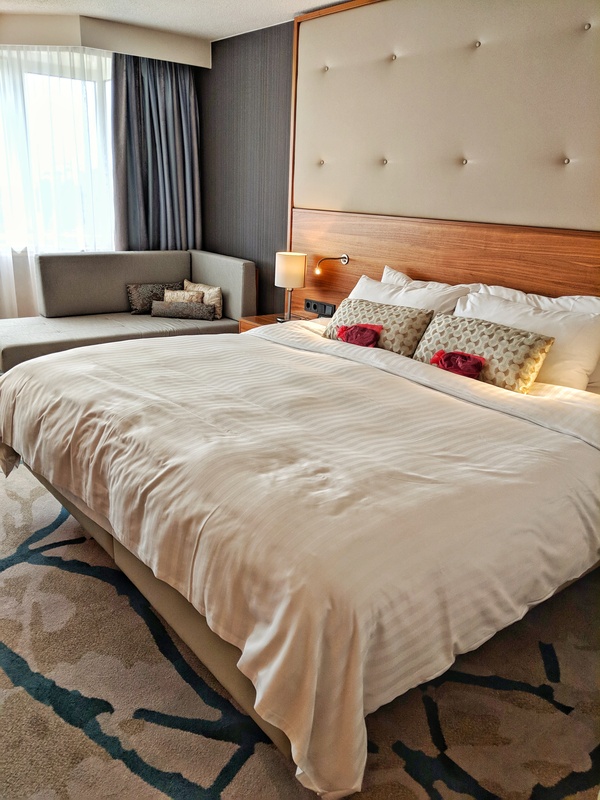 This is why the Vienna Marriott Hotel makes for an ideal base for a getaway in the city, irrespective of whether you’re a first-time visitor keen on exploring the capital, or a frequent traveler visiting for work. We would stuff ourselves with the famous Wiener Schnitzel (fried meat) and call it a night with the yummiest Sachertorte and then retire to our heavenly bed. 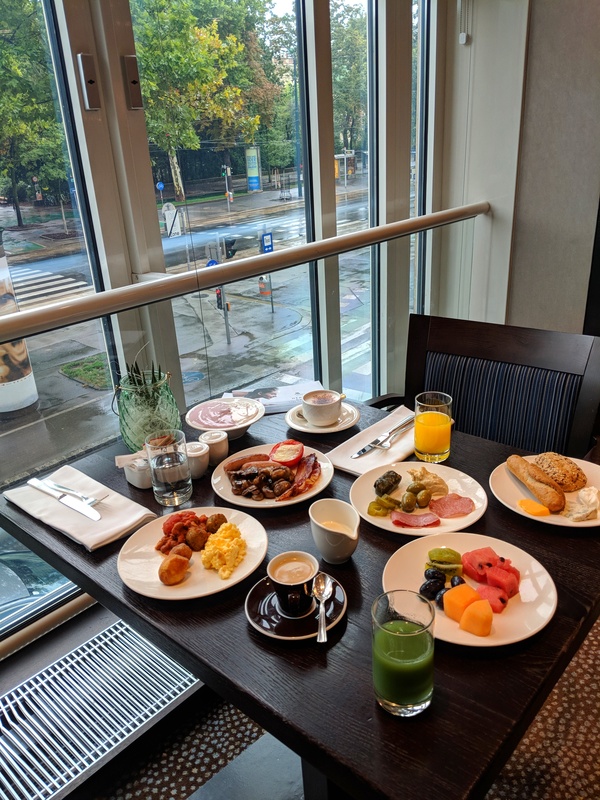 Well, I know I said 5 reasons, but how can I not mention the breakfast, more so when it was the highlight of our stay at Vienna Marriott Hotel. It was a vast spread of some of the best cold cuts, smoked salmon, assorted cheese, exotic fruits and salads, breads, artisan honey, jams, muffins and croissants, fresh juices and coffee. We truly enjoyed our say at the Vienna Marriott Hotel. 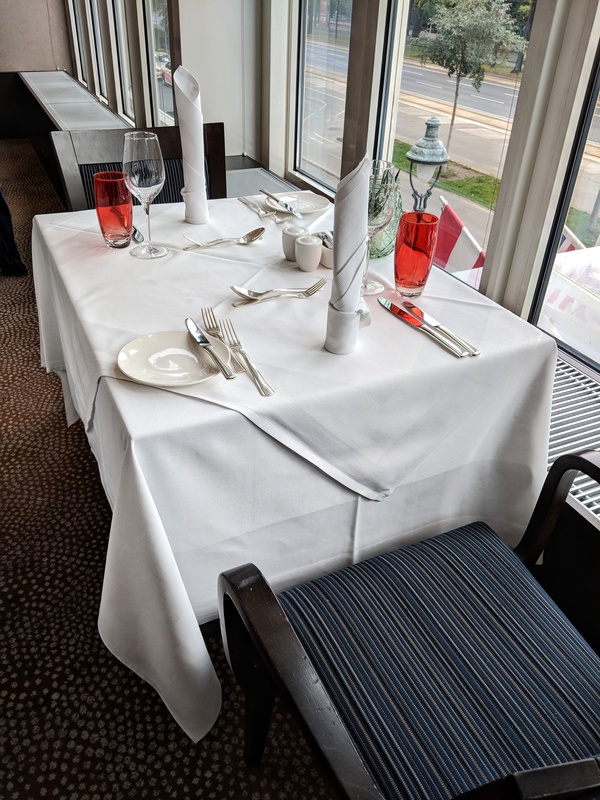 A special mention to the staff, especially Nina Eggers, Director of Operations, who was so efficient and so warm in every interaction, Sebastian Bauer, Social Media Coordinator, who was just so charming besides being ready to assist us anytime – these people and a few more made our stay even more comfortable. We’re already looking forward to our next trip to Vienna.